Our teeth are made up of three layers: the protective outer layer of enamel, a layer of sensitive dentin underneath and, at the very center, a chamber containing the pulp that makes up a tooth’s nerve. Sometimes, because of an injury or extensive decay, a tooth’s nerve can become vulnerable to infection. When that happens, a root canal will help you treat your uncomfortable symptoms and save the tooth. At Cosmetic & Family Dentistry, Dr. Romack and Dr. Mulkey offer comfortable root canal therapy to patients from Weatherford and beyond. Using their office’s contemporary tools, they can provide effective care in just one appointment. 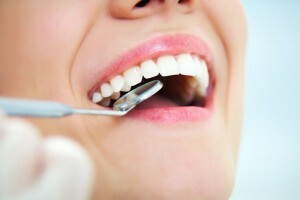 If you’ve never had a root canal, you may not know what to expect, but the process is simple. After you’re comfortable, we’ll gain access to your tooth’s nerve, remove the damaged pulp at the center, fill it with an inert material and put a crown on the tooth to protect it. The goal of a root canal is to save a tooth and its root from being lost. Why is this important? Because a complete smile makes enjoying a nutritious diet easier and will keep nearby teeth from moving out of alignment. Plus, tooth roots are important for preserving the jaw. When a root is lost, the jaw will atrophy over time, potentially causing more tooth loss as it weakens. Do you have questions about how a root canal works? Is one of your teeth noticeably sensitive to hot or cold foods and drinks? Are you experiencing any pain when you chew? Call Cosmetic & Family Dentistry for an appointment with Dr. Romack or Dr. Mulkey. We offer root canal therapy to patients from Weatherford, Aledo, Brock, Millsap, Mineral Wells, and Springtown, Texas.